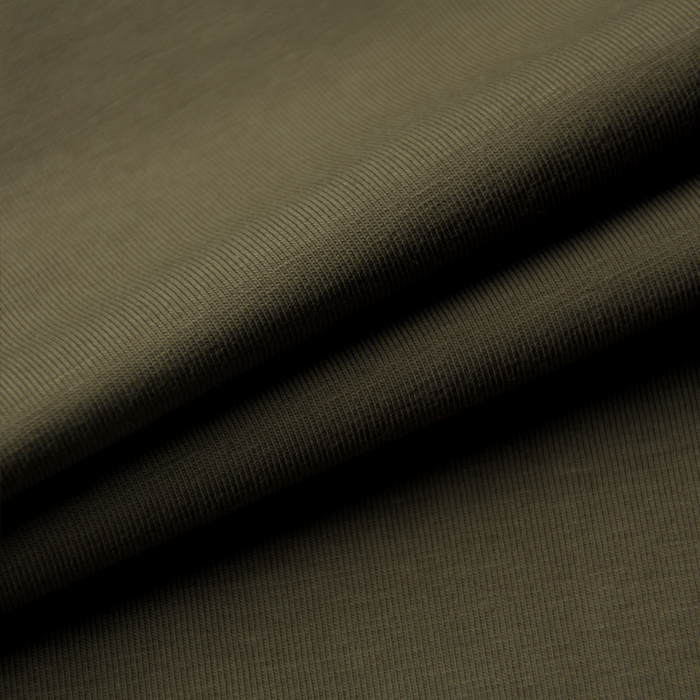 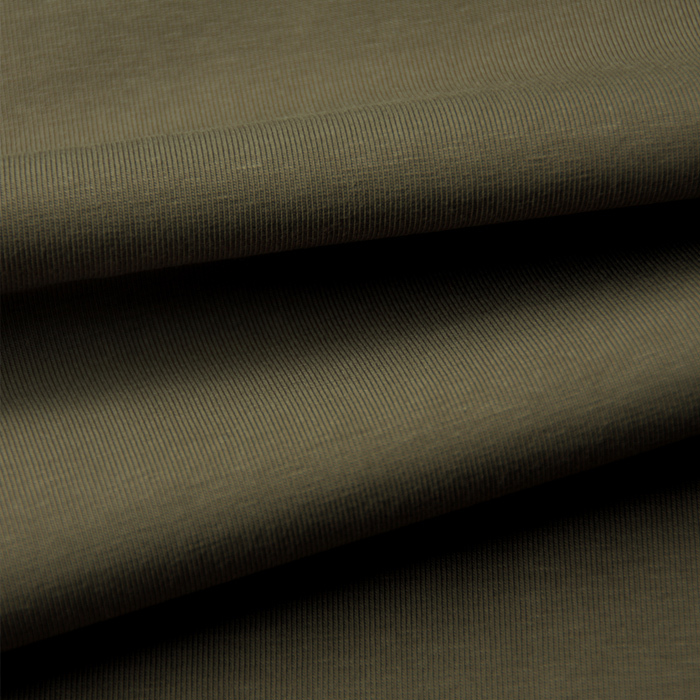 Beautiful dark olive organic cotton stretch single jersey, by Bo Weevil. Great cotton stretch jersey, the knitted fabric is very supple and soft, and due to the added elastane the fabric has a wonderful stretch. 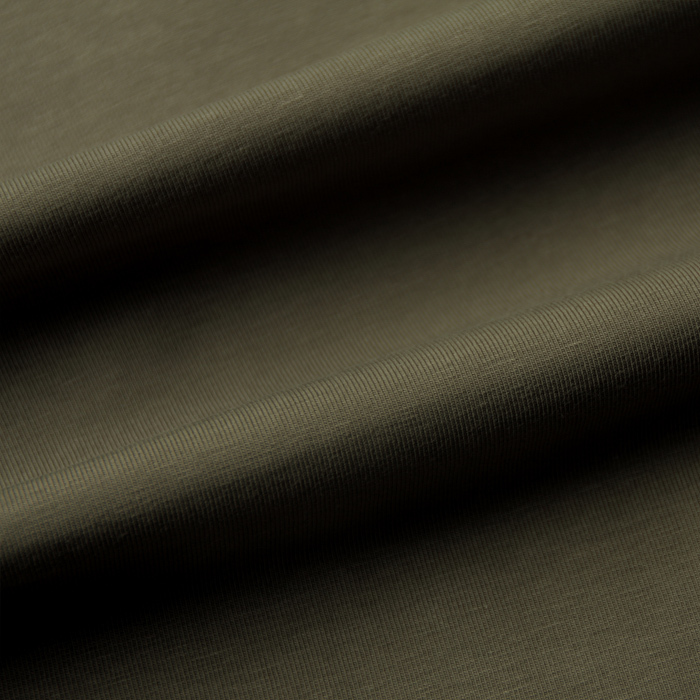 This fabric is heavier/thicker than the standard stretch jersey. 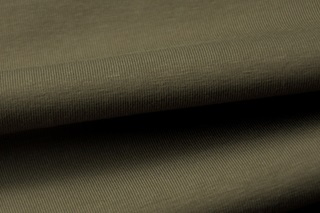 Combines well with a large range of fabrics.